Former conservative activist and organizer Phyllis Schlafly passed away at the age of 92 on Monday. At the time, she was reportedly surrounded by family members at her home in St. Louis, Missouri, where she was born and lived for most of her life. Throughout that life, Schlafly was known for her controversial conservative activism. More than conservative, Schlafly considered herself "pro-family." She maintained a very traditional definition of what it means to be a family and, in particular, what it means to be a wife and mother. In other words, she wasn't just pro-life and (perhaps) anti-gay marriage; she went so far as to be anti-Equal Rights Amendment (ERA). In fact, it was the failed ERA that often defined Schlafly's legacy and fueled the controversy around her. When the ERA was put forth in the 1970s, Schlafly organized STOP ERA, an anti-amendment group. She worried that the amendment would remove many benefits that she believed women had accumulated without it, including the dependency benefits guaranteed to wives and widows under Social Security. Schlafly wanted to protect these benefits, as well as the role of the American homemaker. Ultimately, the amendment failed to become law, and Schlafly became known as the "first lady of the conservative movement." More recently, Schlafly stirred up a batch of controversy when she publicly endorsed Donald Trump for president back in March. She introduced the controversial candidate when he held a rally in her hometown of St. Louis. Her extreme social conservatism may have led many to expect Schlafly to endorse a candidate like Sen. Ted Cruz of Texas, but instead, she seemed to be drawn to Trump's bold rhetoric and outsider mentality. "We've been following losers for so long," Schlafly said during her endorsement of Trump. "Now, we've got a guy who's going to lead us to victory." That endorsement may have cost Schlafly the unity of her beloved Eagle Forum, the pro-family advocacy group that she launched in the 1970s. Several board members, including at least one of Schlafly's own children, reportedly disagreed with the endorsement. Still, Schlafly remained involved with the Eagle Forum up until her death, leading the organization and continuing to write and lecture well into her old age. Schlafly was not one to shy away from controversy. Whether you agree or disagree with her conservative values, it's hard to deny the tenacity with which she fought for her beliefs. 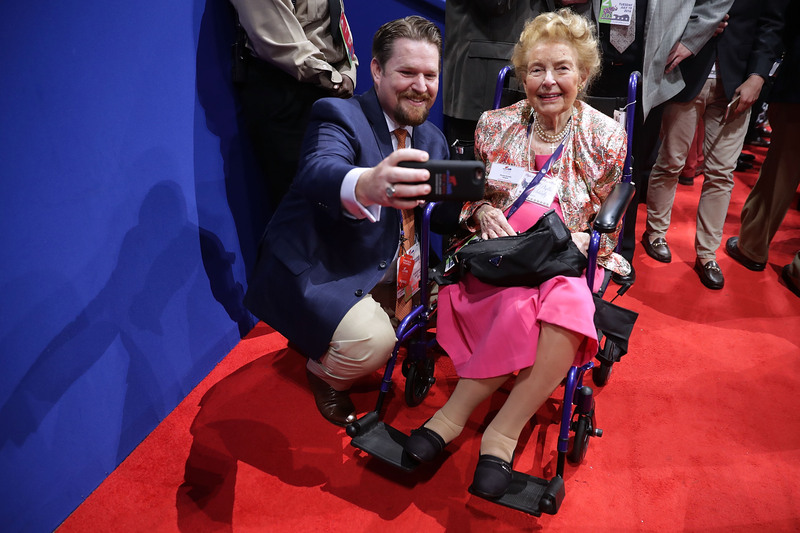 Her legacy will likely live on through her surviving family members and the Eagle Forum that maintains her conservative vision.